A special assembly was organized by the students of KR Mangalam School (Greater Noida) on 7th may 2018 , of class vi to ix which was also attended by the students of other classes. The assembly began with the ritual of chanting the school prayer. It was followed by the melodious poem recitation. A poem written by Rabindra Nath Tagore. 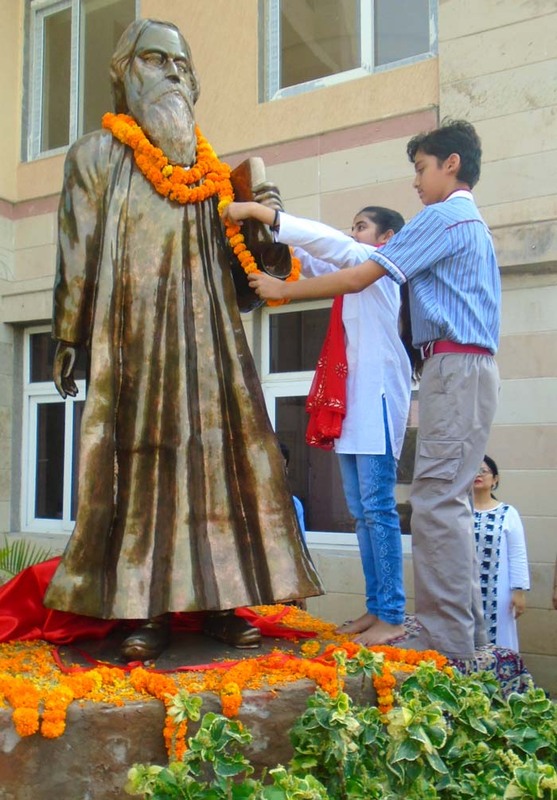 Then , there was the unveiling of the statue of the Legend followed by the inspiring words of the Respected Principal of the school, Mrs Pooja Bose. 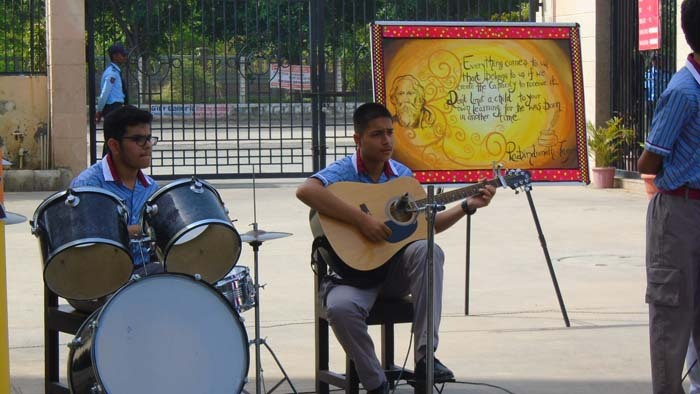 The assembly carried the theme of different phases of Tagore’s life. 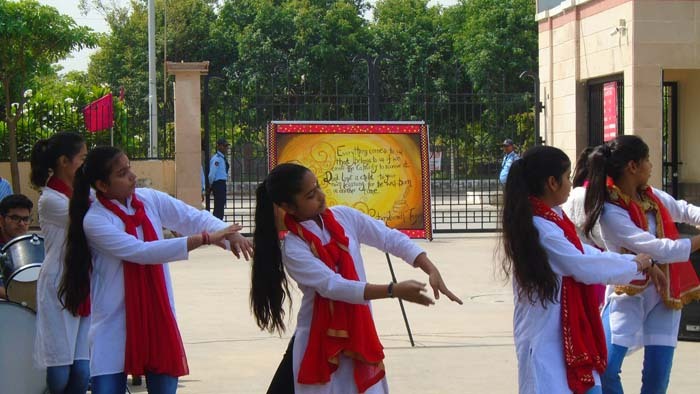 A group of students performed an enchanting dance performance on “Akela chalo Re” along with the melodious song sung by the students.. During the event the inspiring words spoken by the honorable Chief Guest Colonel SP Malik(President of RWA) were mesmerizing and he also expressed his delight and asked the students to follow the path of Rabindra Nath’s virtuous life.